Our free one-on-one consultation gives you the opportunity to meet with one of our experienced wedding specialists. 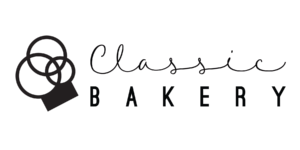 You will find that working with Classic Bakery gives you the flexibility of a truly custom cake design. You are free to bring in your desired cake sketch or design, or have one of our experts design a cake to your specification. Along with the free one-on-one consultation, we offer a free sample tasting. You may chose up to four cake samples, and we will have them baked fresh on the day of your consultation. Our cakes are divided into three layers of cake, and two layers of filling. You will need to chose a cake type, filling, and icing for each of your samples.